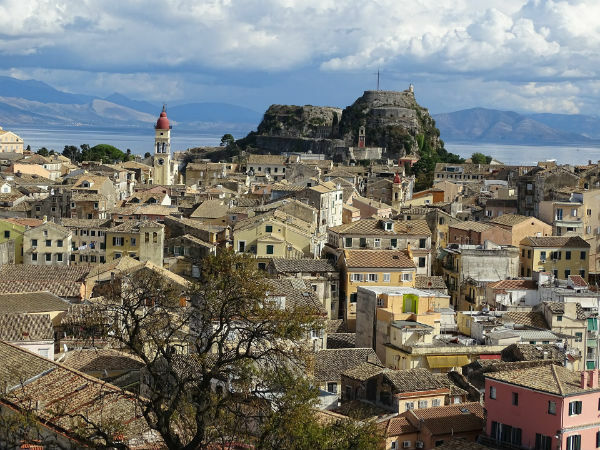 The Undying Ionian Legend … a great deal of contrast and color, together with abandon of an outdoor lifestyle, Corfu can only be described as a world in a class of its own. The friendliness of the the people, the carefree atmosphere, the meaningless time, the greenery, the warm welcome simplicity and informality, the peace of an unhurried world and the long, glorious summer are the ingredients which electrify the unique and magical atmosphere of the warm, lengthened from April to October. The ever blanketed silvery green mantle of olives, punctuated with elegant cypresses, contrasts with a huge variety of different colored wild flowers above and around their roots, extending their coverage across the ground, nature turning the entire island to the greenest and most colorful in the Mediterranean, as well as the most perfumed, especially in the spring and autumn. 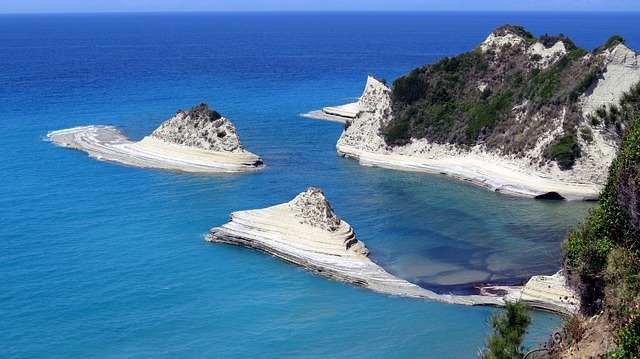 It cannot be denied that during these months , Corfu enjoys an extended romance with nature, swinging into a lasting fiesta, where the sounds, the pleasure, the joy and contentment, are reflected in every happy, smile face. There is a plenty to do and see and be entertained by. 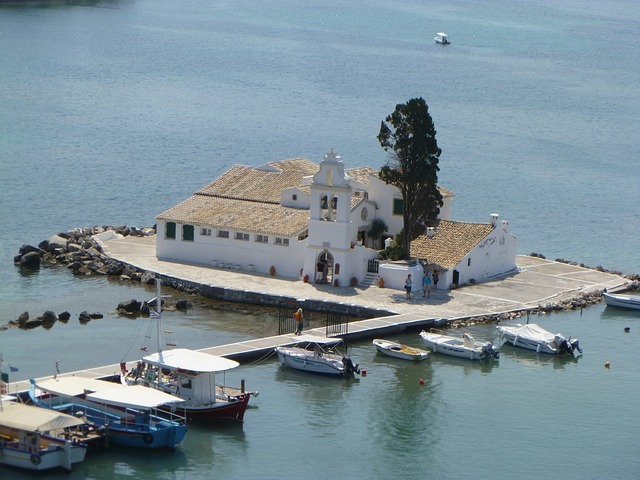 Sightseeing around the island will introduce some of the most spectacular and breathtaking settings, although wherever you turn, you will see evidence of previous occupations. The cosmopolitan town, with its own, individual character, bears trademarks of the past, including the British cricket ground, French arches, Byzantine fortresses and Venetian architecture. 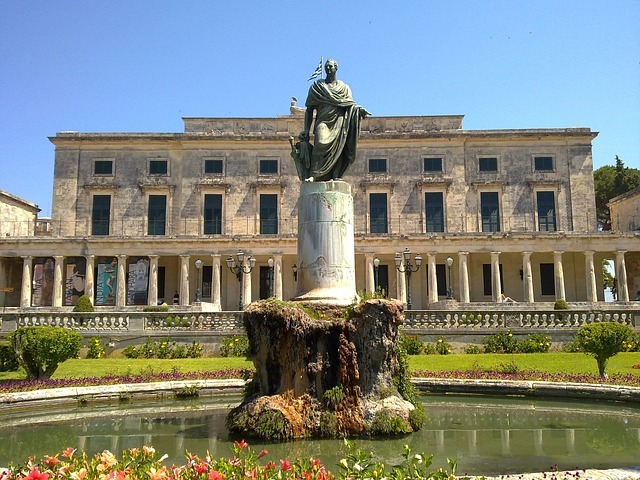 There are various museums to be visited, as well as couple of old palaces, one of which houses and museum of Asian art, while the other operates the Corfu Casino. Naturally, a good selection sea sports are readily available. Life in the virtually deserted, whitewashed villages, still bathing in the sun, continues uninterrupted, as it did in past generations of the ever friendly inhabitants. OCEAN RENT A CAR is interested in cooperating with Travel Agencies and Tour Operators that offer high quality tourism services. As a local family owned bussines, we are always willing to do our best to make sure your experience with us is a pleasant one.